Right click in the white space and click Add. 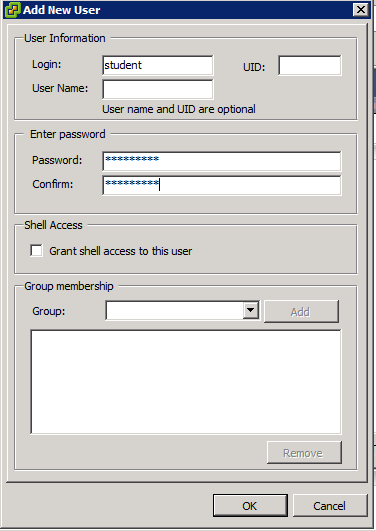 Enter a username and password and hit ok.
Click Add… button under Users and Groups. 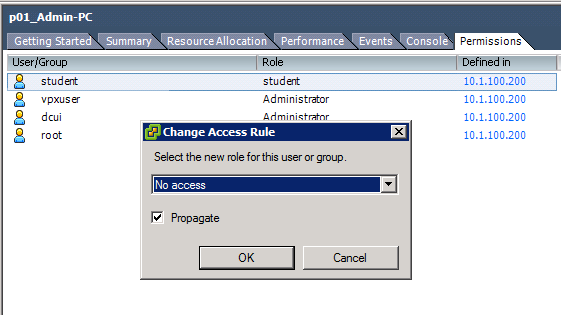 Select user (student) and click Add again and hit ok.
From Assigned Role drop-down menu select student and ok. 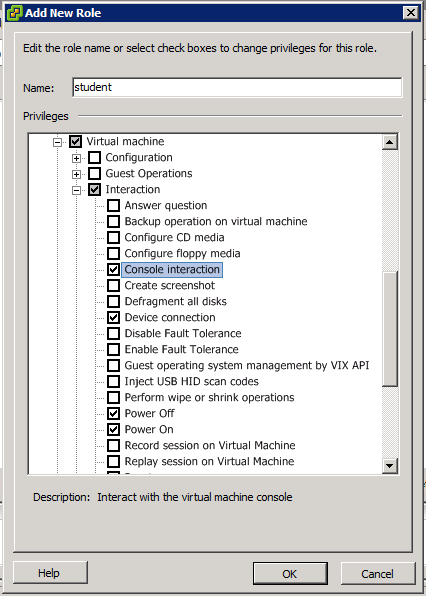 In some cases you will need to hide certain VMs from the student for example the jumpbox or the admin VM because if they power it off accidentally they will kick them self out. So follow the steps below. 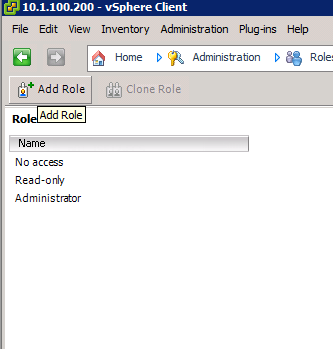 Select the VM that you need to hide and go to Permissions tabs. 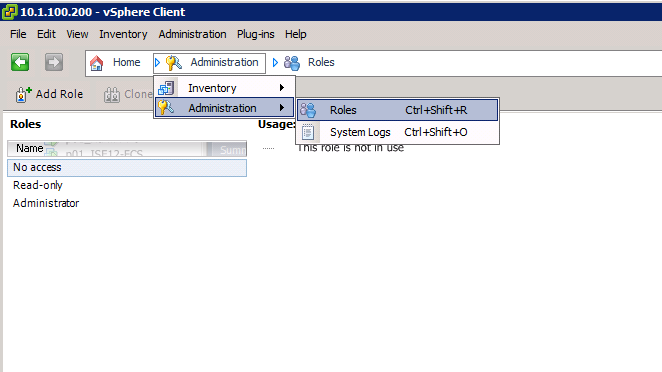 Double click on the user in this case student and select No access and hit ok. 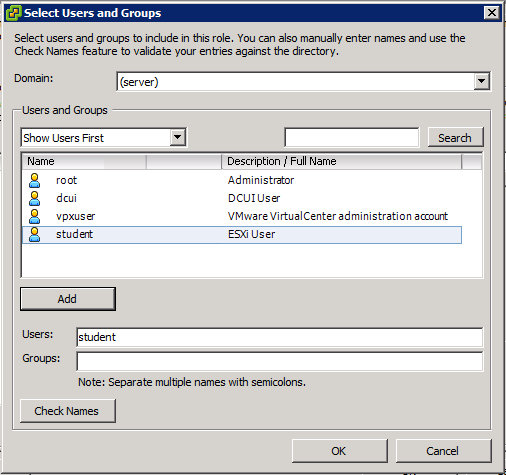 When you now login to vSphere with your student username and password you will not be able to see the admin vm/jumpbox and you will only have limitted access.